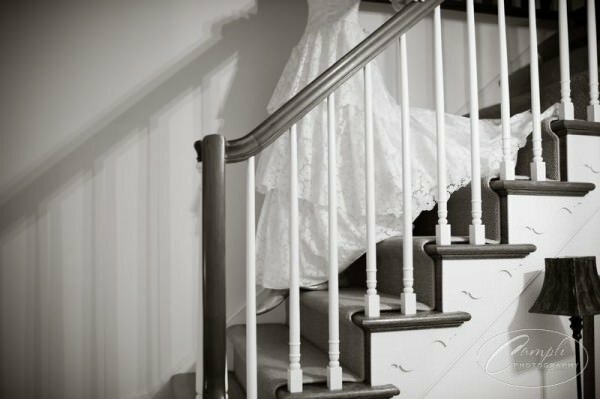 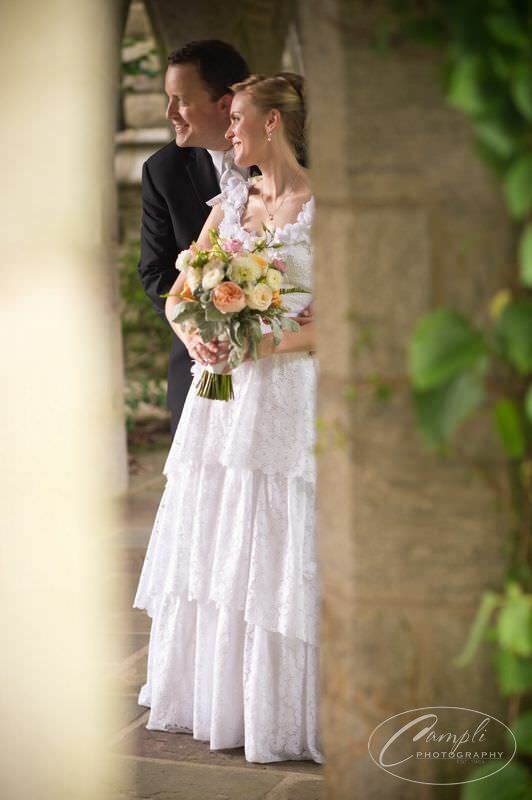 Bride Megan brought with her a bolt of gorgeous cotton eyelet fabric that had been saved from her family’s business which closed in the 1970s. 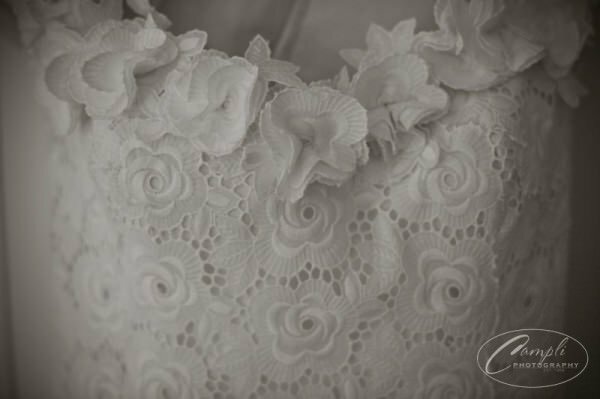 While not heirloom in the traditional sense of the word, this fabric was special for the bride. 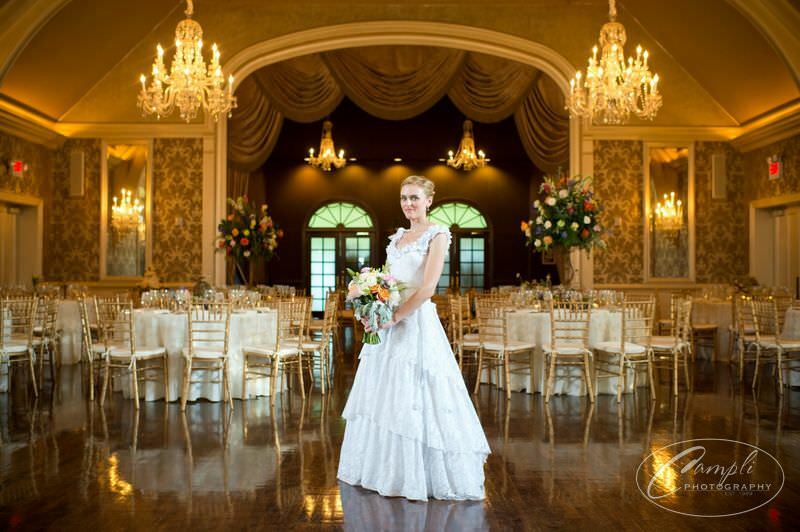 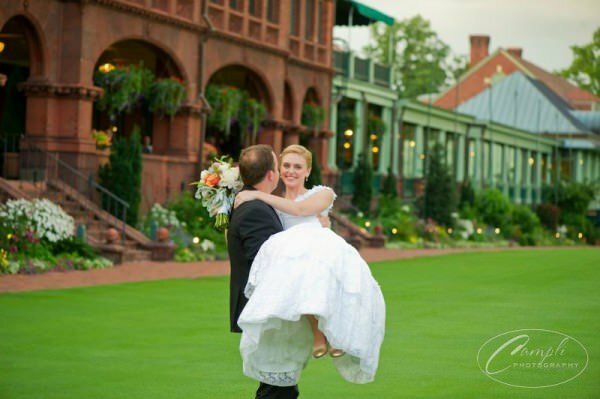 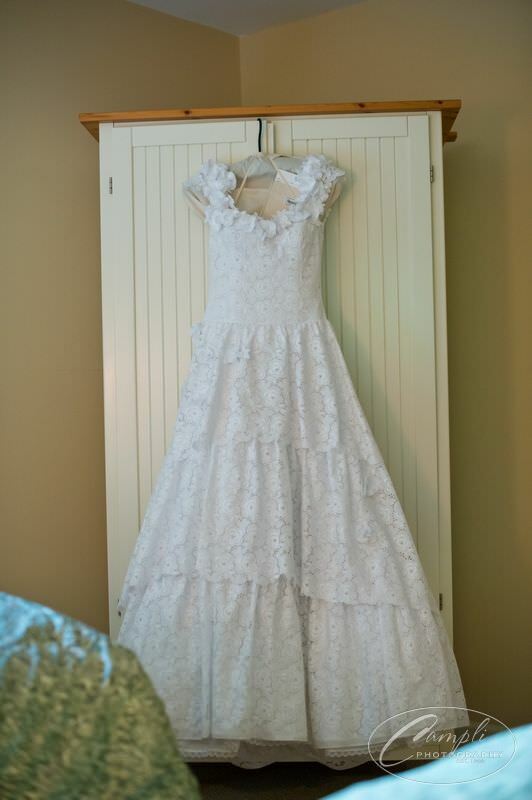 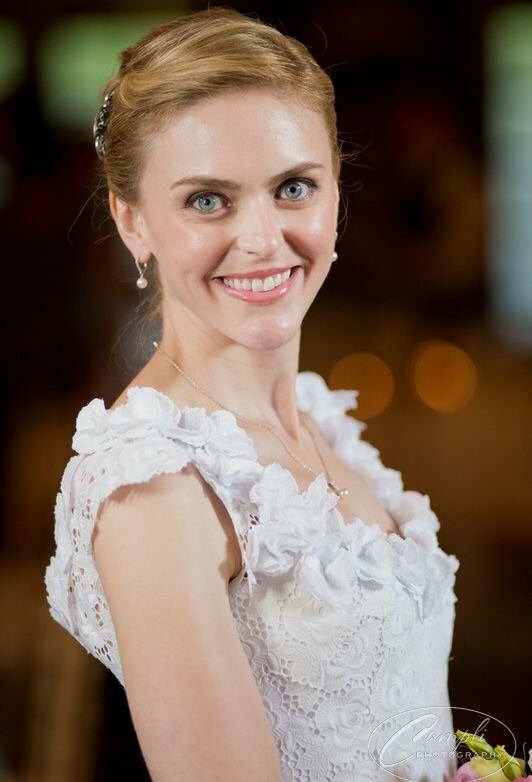 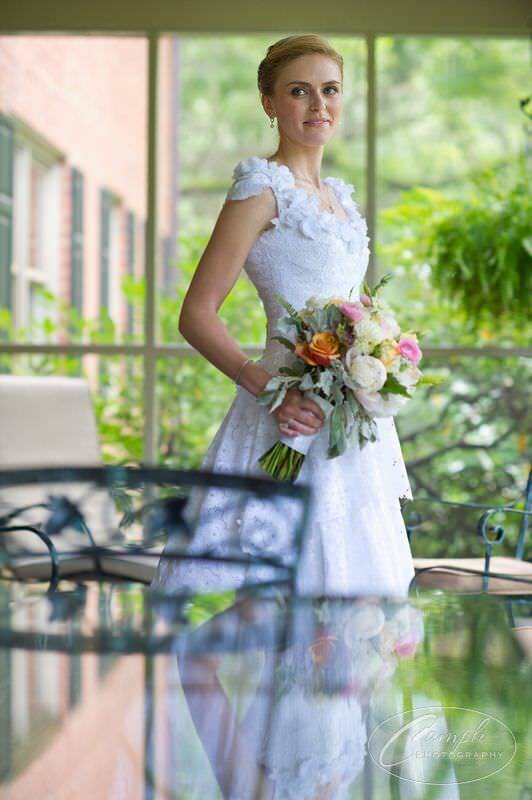 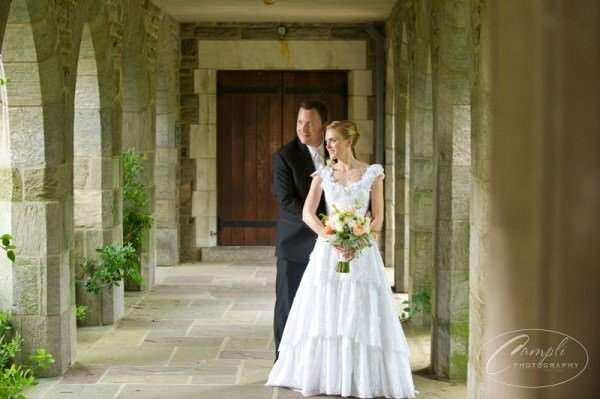 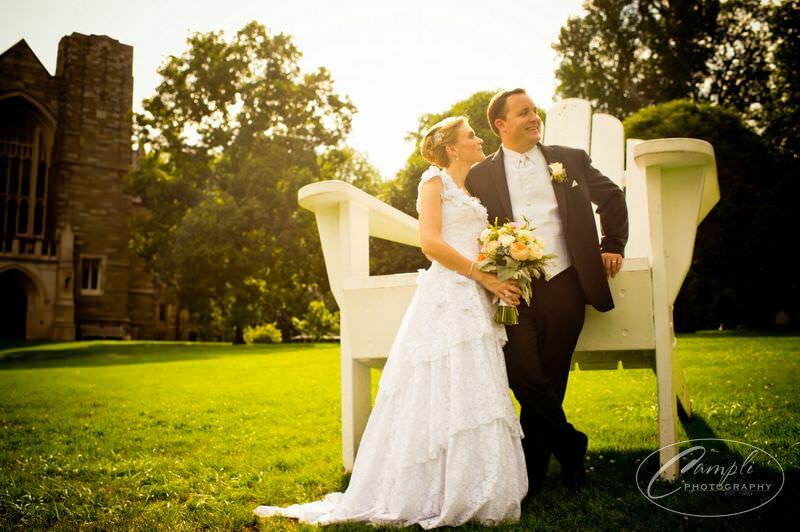 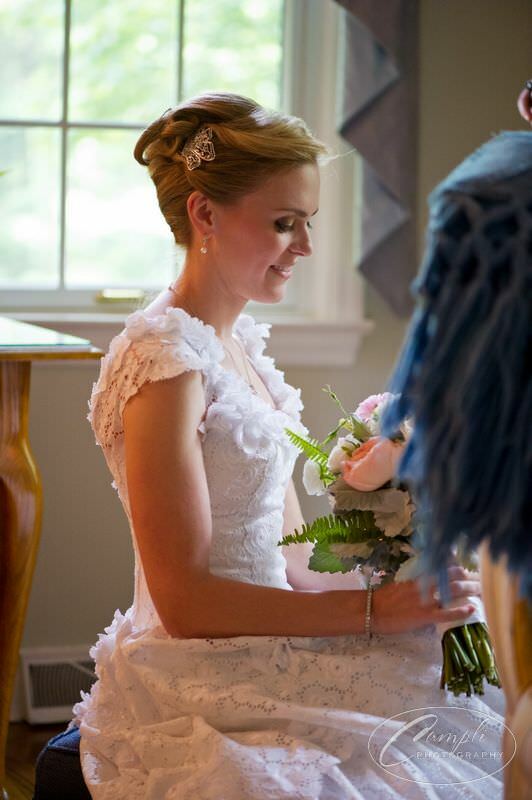 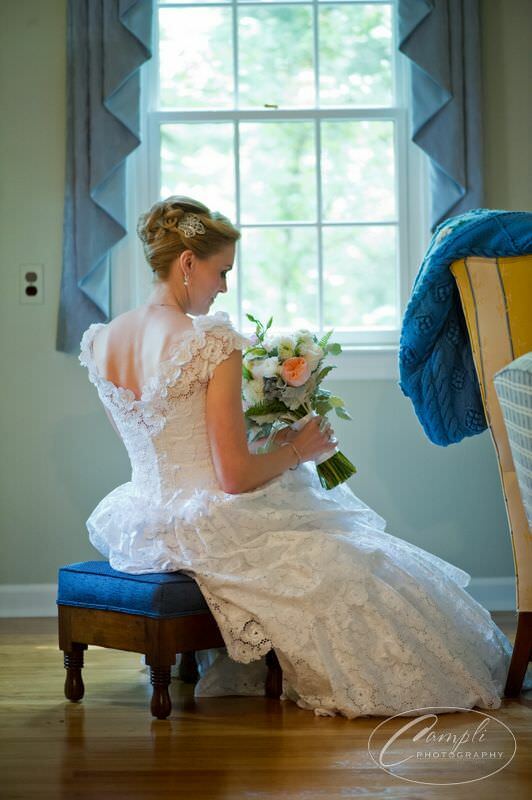 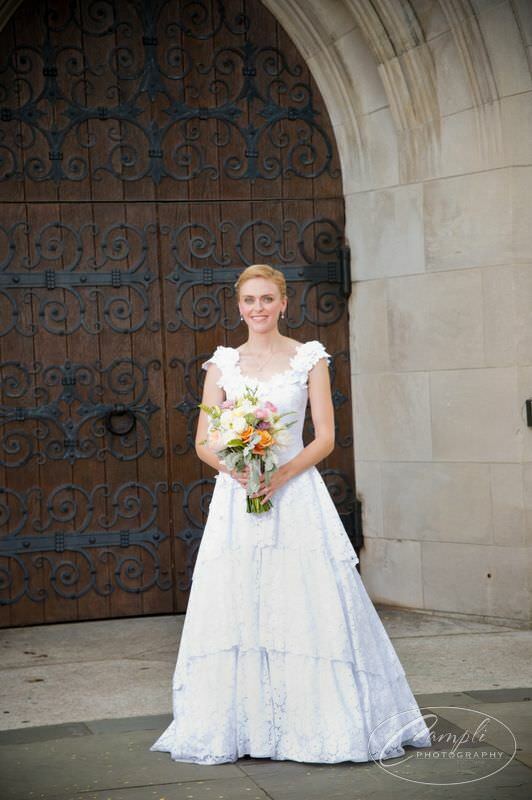 The gown was designed in lightweight fabric for the bride’s mid-Summer garden wedding. 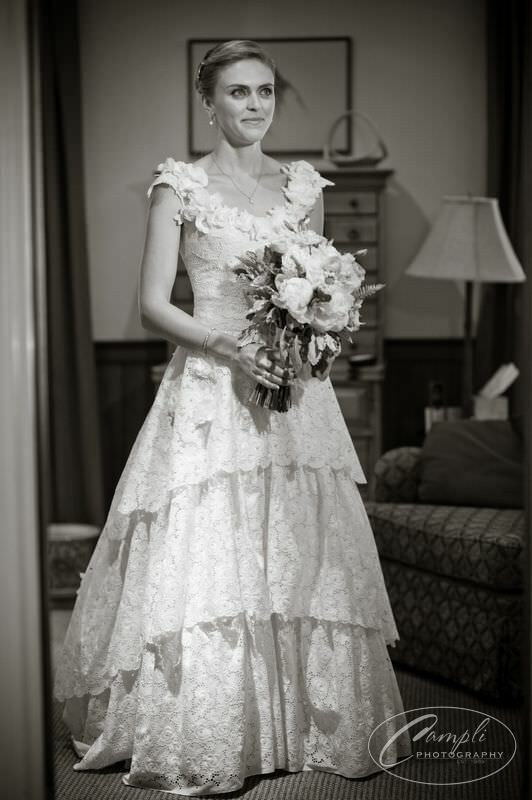 The wedding dress features layers upon layers of fabric with floral details at the neckline.